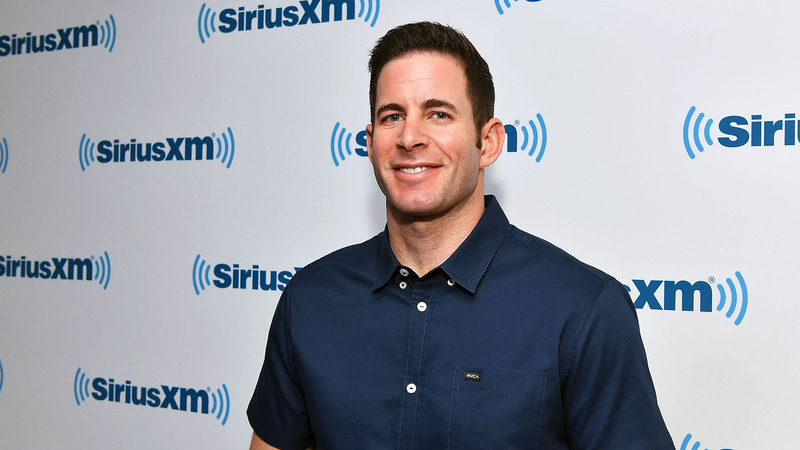 Things are definitely looking up for Flip or Flop host Tarek El Moussa. Following a tumultuous few years that included a highly publicized split from ex-wife and cohost, the now remarried Christina Anstead, El Moussa has two major milestones to look forward to in 2019. Per People, he is getting his own solo project on HGTV in addition to a separate web series. The as-yet untitled solo project on HGTV is definitely in El Moussa’s wheelhouse — he’ll reportedly be mentoring aspiring house-flippers as they attempt to renovate homes to turn a quick profit. In the first episode, he tells People, viewers will meet “a young family that put it all on the line to flip a house” in South Central Los Angeles. “It’s definitely a high stakes flip. There’s a lot of real-life drama in there. It’s the real deal,” El Moussa revealed. Hi Everyone!!!!!! !😊😊😊…whether I’m working on houses or myself I’m always working!. As people we can always improve but with life moving as fast as it is it’s easy to forget how to create change… change starts with a step, one simple step! You don’t have to go “All in”…..here is a recent change I have made. I hate mornings lol but because of that I wanted to face a difficult obstacle!! I decided I need to wake up exactly at 6:30am every day…I bought the worlds LOUDEST alarm… moved it to my bathroom so I had to physically walk to turn it off…and I’m no longer allowed to hit ❤️snooze❤️ lol. The result..big changes with a consistent schedule! ——————- What small changes will you commit to today? I want to hear about them and motivate eachother!!!!!! HGTV released a statement about the new series as well, touting El Moussa’s extensive experience and eagerness to help home-flipping rookies. Suffice it to say that El Moussa feels truly hopeful right now. During their nearly 10-year marriage, El Moussa and Anstead had two children together: daughter Taylor, 8, and son Brayden, 3. Tay said to make a funny face so….🤷‍♂️🤷‍♂️🤷‍♂️. She is seriously my twin!!! It’s funny how we made the exact same funny face😂😂😂. BUT…Who’s ready for New Years! !—— lets all share our plans, I’m going out in Vail!! What is the rest of the world doing to ring in the New Year??? In recent months, El Moussa has been spending plenty of quality time with the kids, from playdates in the park with friends to enlisting the little ones’ help in decorating his Costa Mesa, California, home for the holidays. The kids also give El Moussa and Anstead common ground to keep things copacetic during long days on the set of Flip or Flop. Anstead, who wed Wheeler Dealers host Ant Anstead in December, is also getting her own show on HGTV. Titled Christina on the Coast, the design series will follow along as she overhauls her home in Newport Beach, California, and helps other coastal homeowners to do the same.